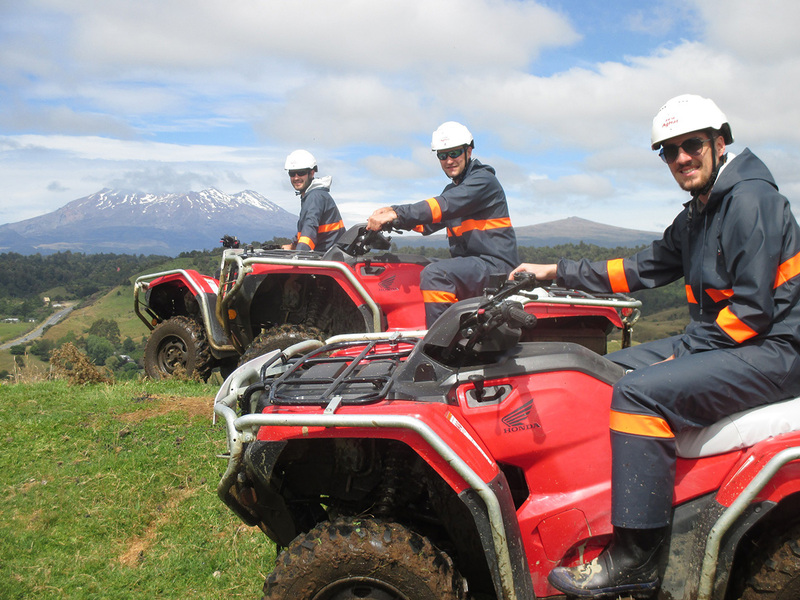 Ruapehu Adventure Rides offers quad bike and side-by-side buggy journeys through the Tongariro National Park. These trips are ideal opportunities to explore New Zealand's bush and farmland, an area where you'll also enjoy stunning views. 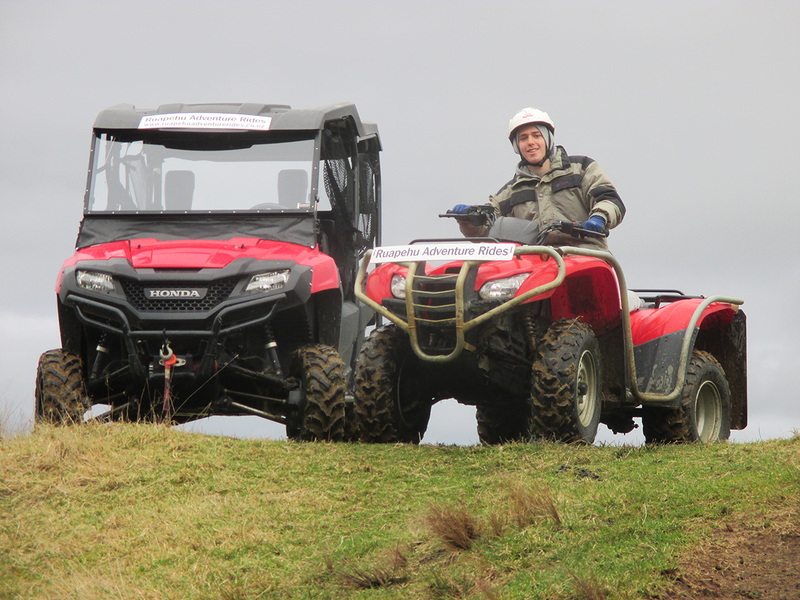 The operator provides all the needed safety gear and top-quality quad bikes perfect for an exciting off-road experience. All rides can be tailored to suit your ability, which means that you can enjoy this activity even if you're a novice quad adventurer. Look for details on the website, which also offers secure booking and payment. 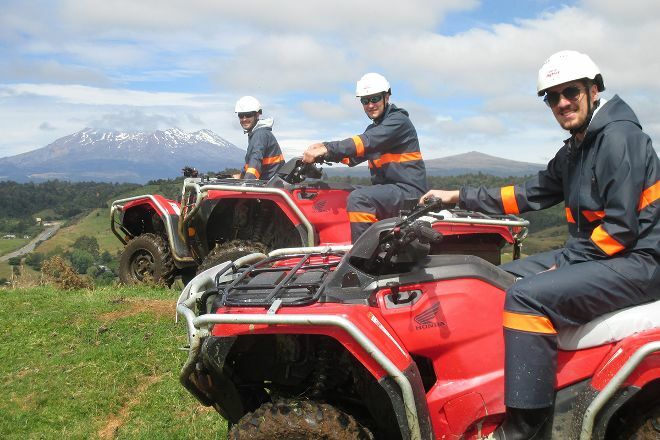 With our online itinerary creator, Manawatu-Wanganui Region attractions like Ruapehu Adventure Rides can be center stage of your vacation plans, and you can find out about other attractions like it, unlike it, near it, and miles away. I had an incredible time doing a 1/2 day on the quads. Karl and Maria were very inviting from when I first showed up, unscheduled at 8am. Karl took me on an adventure, up and down the steep terrain of the beautiful property. I have a experience riding quads but this was the most memorable and rugged yet. I don't think I stopped smiling from start to finish. Returning to America, people keeping asking about my New Zealand highlights...Ruapehu Adventure Rides is the first that comes to mind. We absolutely loved our experience here!! The people were all very nice and we especially liked our guide. He was easy going and fun while still remaining safety conscious and aware of our abilities. We were able to experience varying terrain such as grass, mud, and some very deep puddles. The Quads were in excellent shape (something that we have had issues with before during similar experiences in other countries) and we were provided with rubber boots and pants to stay dry! As a plus, they offered to take pictures for us which they later provided on Dropbox. We got lots of great group and action pictures! Amazing! We had the most incredible time and didn’t want it to end. We had a quick lesson in how to use the quads before hitting the bush, going all over! We all picked it up quickly and the route we were taken on matched our ability. The owners are lovely people and make the experience what it is. A definite must do if you are nearby or passing through! It’s a hidden gem! Went with some colleagues from work as an advanced group. They have amazing trails with beautiful views for those who are new to quad biking. They also have tracks that make your adrenaline flow if you're a thrill seeker. Combine that with guides who are thorough with safety information, and a great help on the ride, and this is one attraction worth giving a go! Thanks for the amazing experience! We all loved it! Every day, we help thousands of travelers plan great vacations. Here are some tips on how to use your Listing Page to attract more travelers to your business - Ruapehu Adventure Rides. Promote your permanent link - https://www.inspirock.com/new-zealand/raurimu/ruapehu-adventure-rides-a5320474901 - on your website, your blog, and social media. 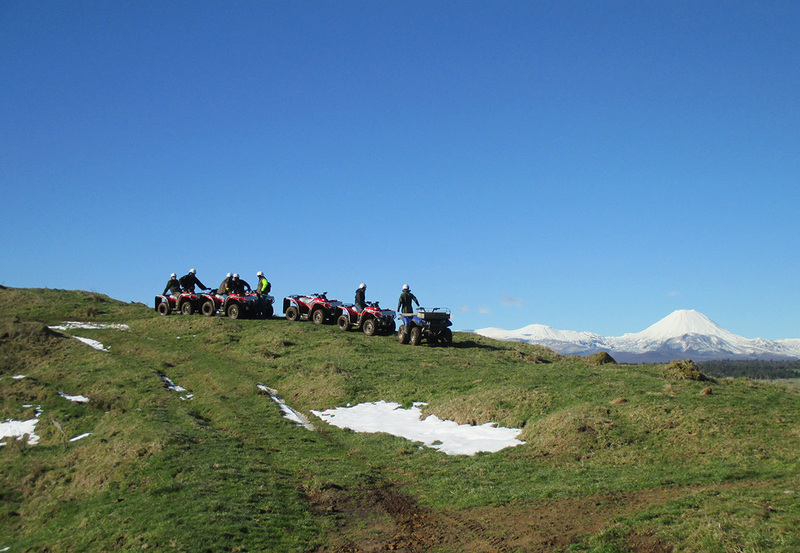 When a traveler builds a plan from this page, the itinerary automatically includes Ruapehu Adventure Rides. This is a great way for travelers looking for a great vacation in your city or country to also experience Ruapehu Adventure Rides. Promoting your link also lets your audience know that you are featured on a rapidly growing travel site. In addition, the more this page is used, the more we will promote Ruapehu Adventure Rides to other Inspirock users. For best results, use the customized Trip Planning Widget for Ruapehu Adventure Rides on your website. It has all the advantages mentioned above, plus users to your site can conveniently access it directly on your site. Visitors to your site will appreciate you offering them help with planning their vacation. Setting this up takes just a few minutes - Click here for instructions.